Vaillant’s award-winning combi, system and open vent boilers are renowned for their reliability, performance and efficiency. Each domestic Vaillant boiler has high quality parts and components, backed up by excellent warranties for total peace of mind. Vaillant’s flagship range is the ecoTEC Plus which is extremely well reviewed by customers and highly recommended by professional engineers due to its high performance and ease of installation and servicing. Whatever your central heating and hot water needs, a Gas Safe engineer is the best person to help and – if you send us an enquiry today – we’ll find up to 3 in your area to provide free, no-obligation quotes. Combination boilers or ‘combi’ boilers are the most popular type of boiler in the UK. Vaillant offer a range of combi boilers at various price points so you are sure to find the right boiler to fit your budget. Make sure it’s the right size and specification for your hot water and heating demands – and for the best deal, we suggest you get quotes from up to three trusted boiler installers. Choosing a new boiler can be daunting, especially if the existing boiler has been in place for years. Boilers have changed significantly in the last decade and are more energy efficient than ever before. 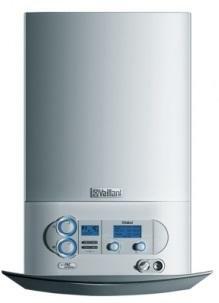 Vaillant offer the ideal solution for older properties with their Regular boiler range. These are the perfect modern-day replacement for your older boiler and should be close to like-for-like in terms of design and pipework, but with the benefits of a new system. Investing in a new boiler is a large expense, however the good news is that the latest models are more energy efficient so you’ll save on your energy bills in the long term. The price of your new boiler will depend on the size of your property so check out the specification for each model. Modern home owners love the Vaillant System range of boilers as they’re designed for the way we live today. When space is at a premium, who wants to find room for a bulky cold water storage tank? And if you’re lucky enough to have a loft conversion, there’s no room for it up there either. The Vaillant System range is the ideal solution for lots of reasons. There are plenty of options in the Vaillant System range of boilers so you should be able to find something that ticks your boxes in terms of heating and water requirements but doesn’t blow the budget either. Click on the individual models to find out more about the specification for each boiler, and then request three quotes for the installed cost. It’s important to keep your boiler in the best possible condition with an annual boiler service by a professional engineer. This will ensure the boiler can operate as efficiently as possible, keeping heating bills to a minimum, and that there are no potential safety issues to be concerned about. A boiler service is also a great way to catch and fix small repairs before they have the chance to worsen over time and cause an expensive breakdown. Find out what’s involved in an annual boiler service, why it’s so important, the benefits and how much they cost in Vaillant Boiler Service. Every boiler manufacturer offers a standard warranty with their boilers which last between 1-10 years. The warranty is your insurance policy and means if a fault develops the manufacturer will resolve it within a specified time frame. Some warranties include both parts and labour while others may only cover parts. The most important thing to remember is to get your boiler serviced by a Gas Safe registered engineer every year as failing to do so is likely to invalidate your warranty. For more detail about this brand’s warranty (including the small print) take a look at Vaillant Boiler Warranty. Even the highest quality boiler can develop faults and problems as they age. Some are minor issues you may be able to handle yourself but most will need a Gas Safe registered engineer to diagnose and repair the problem. To find out if there are any common problems associated with this manufacturer you can read our guide to Vaillant Boiler Repairs & Common Vaillant Boiler Problems. Error codes may appear on your boiler’s display; it’s your boiler’s way of telling you that something is wrong. Each manufacturer uses a different coding system to help an engineer to diagnose a fault. In some cases it may be a simple issue such as low pressure which you can adjust yourself but more technical faults will certainly need a professional. We’ve put together a list of error codes for all Vaillant Boilers to help you understand what’s wrong before you contact an engineer. Vaillant offers a wide range of different controls and thermostats from simple analogue heating timers to smartphone App based thermostat – vSMART – which enables you to manage your heating from a smart device wherever you are. In addition, Vaillant also manufacture a hybrid heating solution, the aroTHERM Hybrid, which is a combination of an air source heat pump and a condensing gas combi boiler. The intelligent system automatically detects which of the two technologies is the more energy efficient and cost effective to use depending on the weather and switches between them to heat water for your home.